I recently watched the Acro-Cats on “The Late Show with Stephen Colbert”. Who are the Acro-Cats you may be asking? They are a troop of specially trained trick cats that are far more talented than meow is. They’ve taken obstacle and agility course stunts to a much grander level, and even have their own music band called the Rock Cats. Not bad for a bunch of rescue kitties. If anyone saw them like that for the first time, I guess I can’t blame those who couldn’t hold back their catty hairballs of sarcastic humour. I have to catfess though, I thought the comments could have been much worse than they were, and was glad they weren’t. If their trainer Samantha Martin had been able to preface the performance by saying that sometimes things don’t go as planned, it might have gone a long way to elicit a little more understanding. Being a trick cat myself, I can totally empathize with the level of distraction those kitties must have experienced being on a show like that: the noise, the lights, the size of the venue. 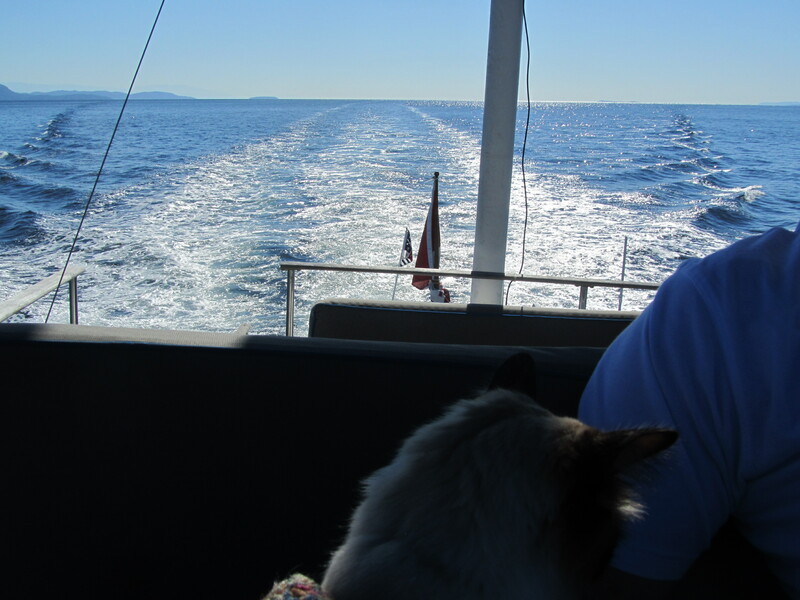 I probably wouldn’t have left the safety of my carrier either no matter what tasty treat they waved in front of me. So what do you do when the stars of the show won’t purrform? The show must go on, and if you have to, fake some of it like it’s part of the show. I was very impressed with the way the humans just kept smiling and moving on to the next stunt with their arm raised ‘Ta Das” even when any of the cats couldn’t overcome it’s stage fright to perform it’s trick. Stephen Colbert, to the audience’s delight, joined the act and pretended he was a cat doing the “roll the ball along the balance beam” trick. Of course for those cats that did perform their tricks, the audience was very supportive and, judging by the laughter, all in all it was still very a entertaining act, even though it seemed like it was a bit of a fail. But on the other hand judging by the comments, some of audience members weren’t really sure if that was the way the act was supposed to be or not, so then it was actually rather genius when you think about it. The music really had a lot to do with that as some of the notes in light genre refrains seemed to play with the scene. To be fair, I think their real abilities deserve equal air time so you can see they’re not fake. Take a couple of minutes and check out this video from Youtube.com. We think they, and what they are doing for shelter kitties everywhere, is very special and I wholeheartedly recommend their show to everyone. Writing 101 Day 12: Critique a piece of work; express your opinion on a topic or a piece of work. This is your opportunity to comment on something you’re passionate about, or review a piece of art or entertainment that you love or despise. You can approach this assignment in your own style and preferred format. Here are some ideas: Review something you’ve recently read, watched, or experienced: a book, movie, TV show, art exhibit, festival, or something else. Today on Motion Monday I would like to show you several short videos on other kitties showing off their agility skills ranging from beginner to more advanced. You might think an agility course needs a large outdoor area, but as in the first video, it can be setup indoors, on a table! Do you think you need to start out as a kitten to learn? 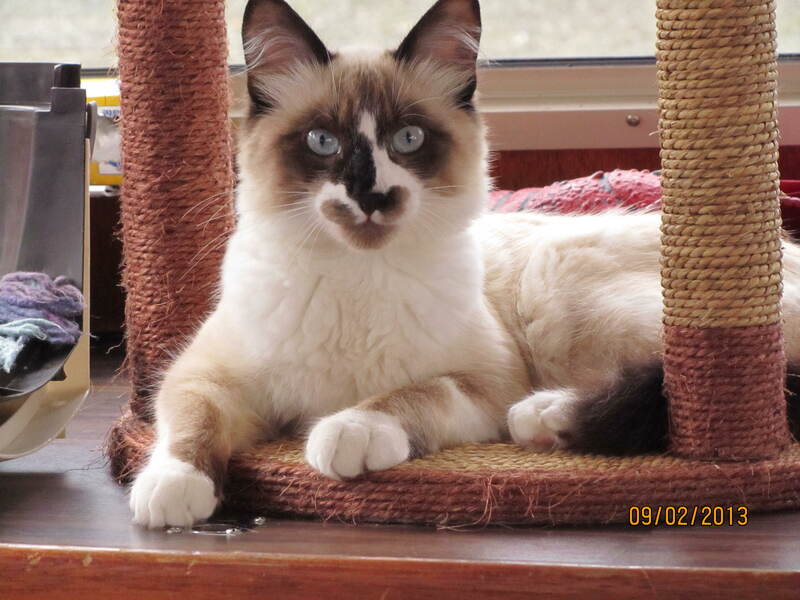 The second video shows a formerly feral cat who started at seven years old! From cute cat tricks to a cat that can skateboard, we cats are very athletic. You don’t have to learn agility to compete either. 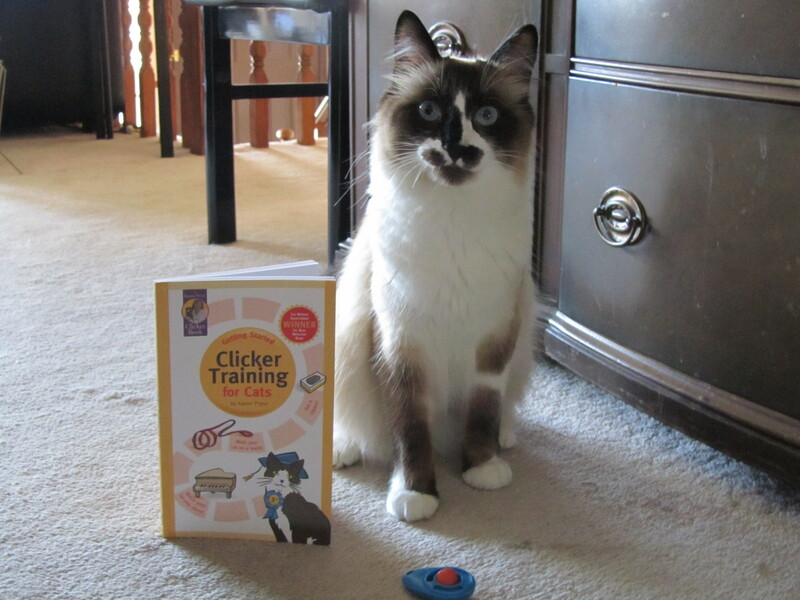 You can learn for just fur fun and fur your human’s enjoyment. My humans had a very busy week so we didn’t get the exercise room setup for me like we planned, so this post is “Plan B”. 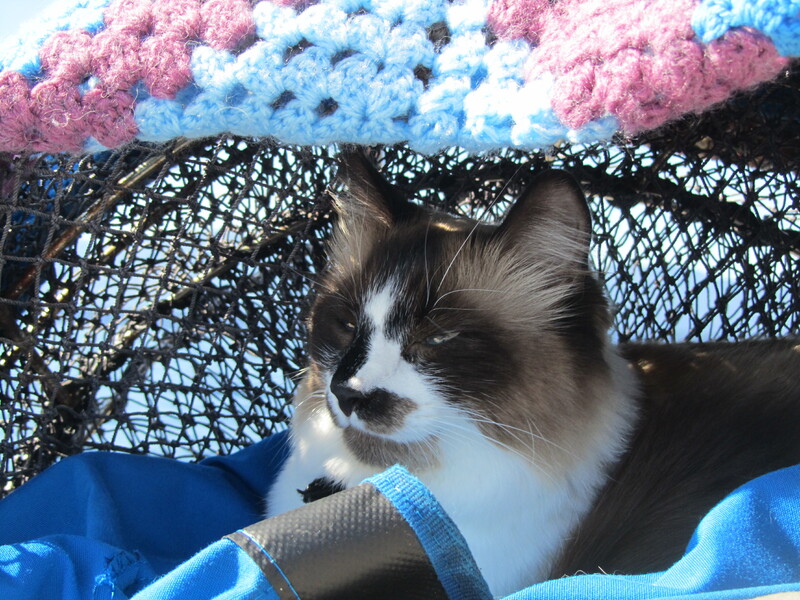 This week we’ll be assembling the PVC tubes and fittings my humans purchased to show your humans next week how easy (theoretically) it will be to put together the weave poles and a jump. Mom made a teeter totter out of a wedge shaped log and the leaf out of the dining room table…how creative. Writing 101, Day 15 You’re told that an event that’s dear to your heart — an annual fair, festival, or conference — will be cancelled forever (or taken over by an evil organization). was held without you knowing about it. For your twist, read your piece aloud, multiple times. Hone that voice of yours! Hey, did you hear about auditions for a new TV show called Battle Cats? No! Me either! They announced it in November and I didn’t find out about it until…MAY! and by then it was too late…. grrrr. I can’t believe I missed it. I watch the news on TV almost every night, and the only night it was broadcasted, my humans where AWOC! (absent without cat!) Finally, a televised cat show held practically in my own backyard… a 30 minute car ride away… and I’m not going to be in it. I’ve trained long and hard for something like this. Sit, click, treat! Shake a paw, click, treat! High five, click, treat! TARGET! Target? Touch the nose on the pom pom end of the stick, click, treat! Follow the pom-pom UP! Follow the pom-pom DOWN! Follow the freak’n pom-pom all AROUND, click, treat! Oh ya, I’m so ready, but I’m not going to be in it. Can you tell I’m a little ticked? You know it. “I coulda been a contender”, is all I think of now. A competition to show off how agile I am… how svelte I am… especially under pressure. Yep, they missed out on finding the fiercest Battle Cat of them all. I’m the cathlete of cathletes. They want meow factor, I got meow factor. They want catitude, guess what I got. What they don’t got, is me, and believe me, they need me. Just know this TV humans running Battle Cats, I am honing my skills. I have watched some episodes on Youtube and I know what to do. I reached out and left you my name and number. I know where you are, and you know where I am, so let’s not let this happen again when season 2 comes around shall we…and there better be a season 2. Or else! Writing 101, Day 14: Pick up the nearest book and flip to page 29. What jumps out at you? Start there, and try a twist: write in the form of a letter. Meowee brofur, thank you very much for sending me your book. I was so thrilled to have won it. I was totally doing a happy dance when it arrived late last week and my claws couldn’t wait to rip open the packaging. Writing 101, Day 11: Today, tell us about the home you lived in when you were twelve. For your twist, pay attention to — and vary — your sentence lengths. Last year when I was equivalent to a 12 year old human, I was living in the same house I am now. Fancy that. A three bedroom two and a half bath single family dwelling with a finished basement and one car garage. All for me and my two humans. Our House was the ideal suburbia model of the 1980’s with its bordered wallpaper and upholstered window treatments. Classified as one of those split entry types, the front door is in the middle of the top and bottom floors, and has two sets of interior stairs. One set goes up, the other goes down. What I liked best about the house was the textured plush carpeting. It’s wall to wall. The kind that my claws can get really good traction on to make those high speed corner turns. It’s a race track. I zoom from the front living room window, through the dining room, round the hallway corners to the other side of the house, and into the front master bedroom. And then back. Yes I am a thundering herd of elephants. Sometimes I liked to freak my mom out with my balancing act. I’d walk along the smooth wooden railing that guards the open stair well on the top floor. It’s a one story plus 3 foot drop from there. 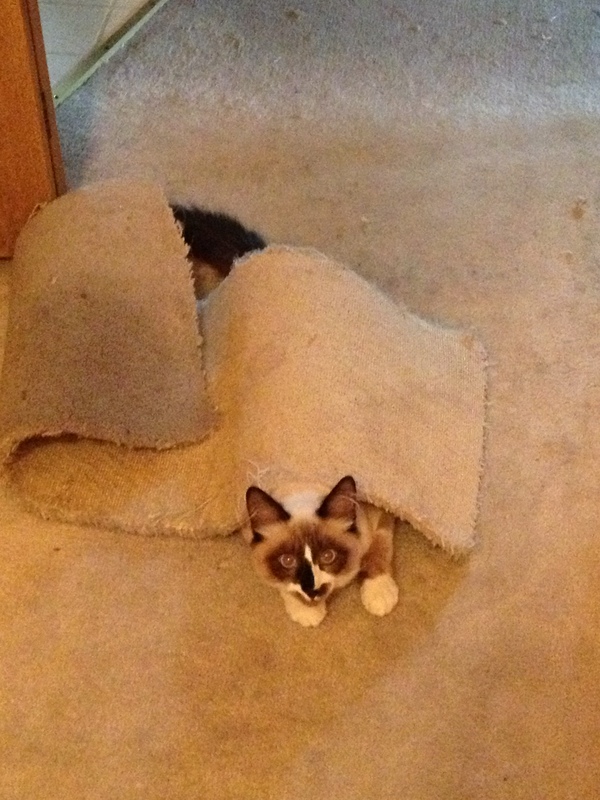 Once she saw me slip and fall, and raced to the stairs prepared for the worst, but thanks to a protruding carpeted ledge I was able to hook onto it like Velcro and claw myself back up to safety. Boy did I ever get cuddled and kissed with relief. The non-carpeted rooms are the kitchen, bathrooms, laundry room, and stair landing. These places are not recommended for high speed traction. I get nowhere real fast, or spin out of control. The stair landing has an area rug that is not secured to the tiled floor and is often found bunched up against the front door from the wide angle sweep of my rear end trying to make it around the bend on a mad dash up or down. My bathroom is downstairs in the laundry room. Mom tried to be environmentally friendly and used crushed pine for my litter. It had a pleasant woodsy scent. Downstairs was also home to the big screen TV. Dad bought me one of those multilevel scratching posts with a sling bed at the top, and placed it between their recliners so we could all watch TV together. I liked how it towered above so I could look down upon them. Wow what a day we’ve had furiends! The party is still going strong and now we also have the five winners of a copy of my book to concatulate! To ensure the competition was 100% fair (due to the fact I’m in a different time zone than lots of you and wasn’t always able to instantly share the photo entries) I calculated the likes on the original photo and the photo I shared to get the two photos with the most likes. It was a tough competition with some truly PAWESOME entries and lots of wonderful American Dreams. 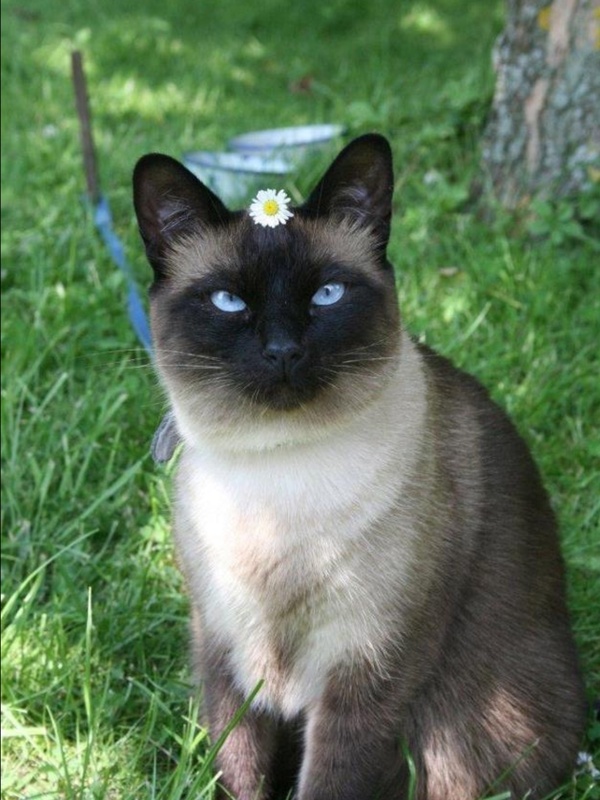 Mjl Steutel and her beautiful cat who both dream to go to San Franciso with flowers in their hair (and fur). 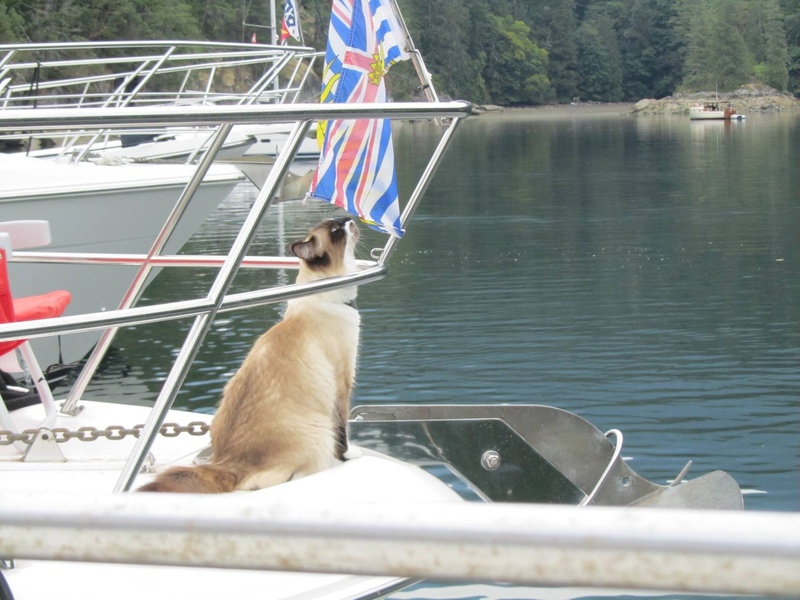 Pawcific Purrsea a fellow feline afloat is already living his dream around the Pacific West Coast of British Columbia!